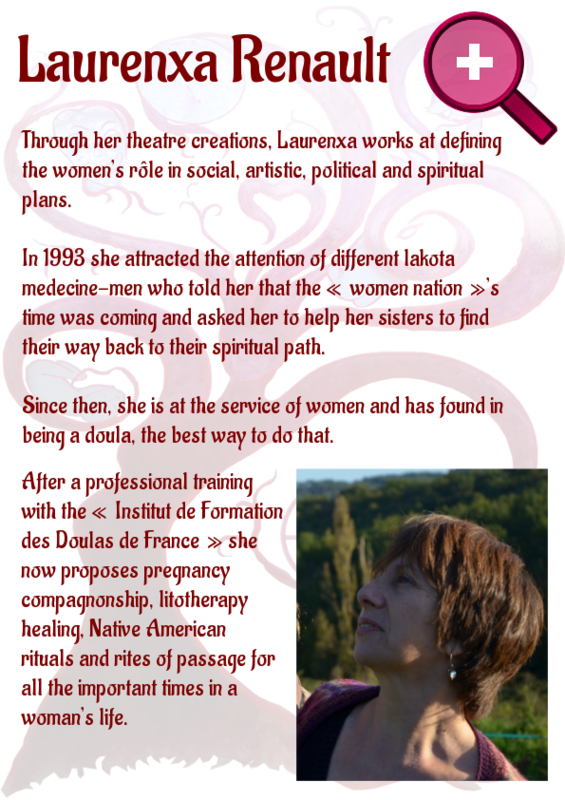 Laurenxa is an experienced and compassionate doula. 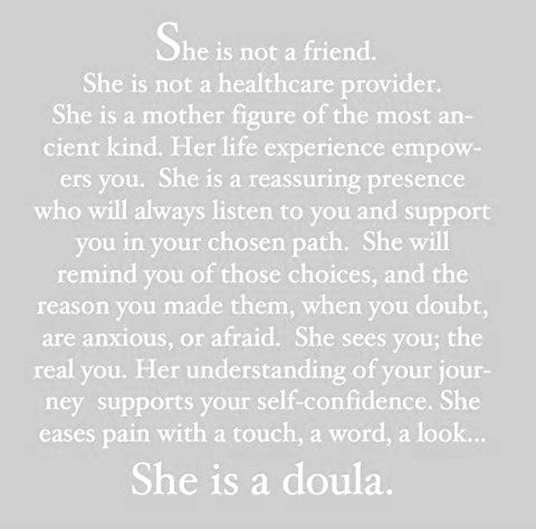 A doula is a woman who supports pregnant women and the people around them. She listens to their desires and their needs in order to sensitively support their choices. by building a trusting, caring and close relationship together as women. As the ‘Doula des Passages’ she not only supports expecting couples, but women of all ages. 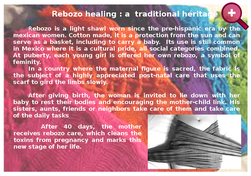 A doula may assist in each important moment of their lives: coming of age, adoption, menopause, or mourning. Laurenxa does this by being a calm presence, by actively listening to their emotions, fears and hopes, and by creating personal rites of passage, as an individual ceremony or together with the friends and family they have chosen. Laurenxa accompanies the pregnant woman, the couple, and family during all aspects of the pregnancy, the delivery day, and/or during the baby’s first weeks, as it’s needed. Laurenxa is also gifted in life-affirming ceremonies. 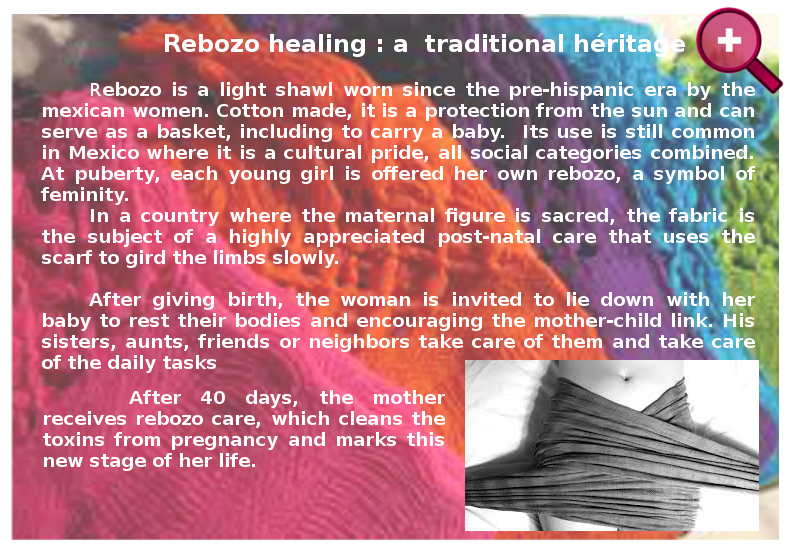 She is available to provide a Blessing Way on the 7th or 8th month, which is a beautiful celebration of the future mother, and/or a Rebozo Healing 40 days after the delivery. Whether giving birth at home or in a hospital, with or without an epidural, or by a scheduled caesarean, Laurenxa will walk with you and support all your choices with care and compassion. Usually the doula comes to see the pregnant woman at her home, but if the mother-to-be prefers, she can come here to the ‘Arbre Rouge’, Laurenxa’s comfortable countryside setting. Each visit will last at least 2 hours, during which time, Laurenxa will practice ‘Active Listening’* throughout the visit. The purpose of non-judgmental Active Listening is to gently bring forward the deep needs of both the woman and her companion’s expectations about the arrival of their baby. Active Listening is a communication technique used in counseling, training and conflict resolution. It requires that the listener fully concentrate, understand, respond and then remember what has been said. Even if this is not the first, their baby’s arrival will transform the future mother and father, and their couple’s relationship, and all the family relationships. These pre-birth visits are a good time for both the future mother and father to take stock of their real needs and how they want to adjust their lives to make room for their new baby. Laurenxa combines her years of experience, as a doula and mother, with her knowledge of biological, social or legal matters. In addition to the visits, she can do research on behalf of the expecting parents, help to create a ‘birth project’ for the maternity hospital, drive the future mother to scans or medical visits, help with housework, or just stay to speak around a nice cup of tea. Laurenxa can be reached on the phone at any time. During a home delivery, Laurenxa will help to prepare the room and will be with the future parents to reassure them while waiting for the midwife. She will take care of every thing so that the father can be completely available for his partner. Laurenxa will help both expecting parents to be fully present for the birth of their child. If the birth will take place at the maternity hospital, just as in a home delivery, Laurenxa will be a comforting presence and will know how to relieve the woman during the contractions. She can be a mediator between the expecting parents and the medical team. She will make sure their suggestions are well understood by the parents and that the needs of the parents are clearly understood by the hospital staff. In case of problems, Laurenxa will know how to help. After the birth, Laurenxa will make sure that mother can have the rest she needs and will help the new parents during the first days of their new life together. She can advise about breast feeding and practical solutions for any problems that may arise. The midwife and the doula have important, yet different, roles in this beautiful process. The doula does not take the place of the midwife, in any way, but the doula respectfully complements the midwife’s work. Because the doula has more time to give, she is able to support the couple well before and after the birth of their child.